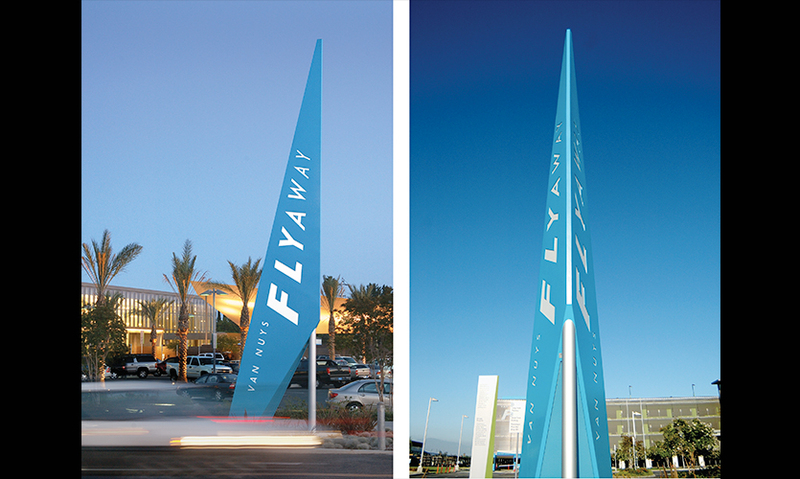 Sussman/Prejza & Company designed a new Flyaway identity and logo that became the starting point for work on the facility's wayfinding and bus graphics. 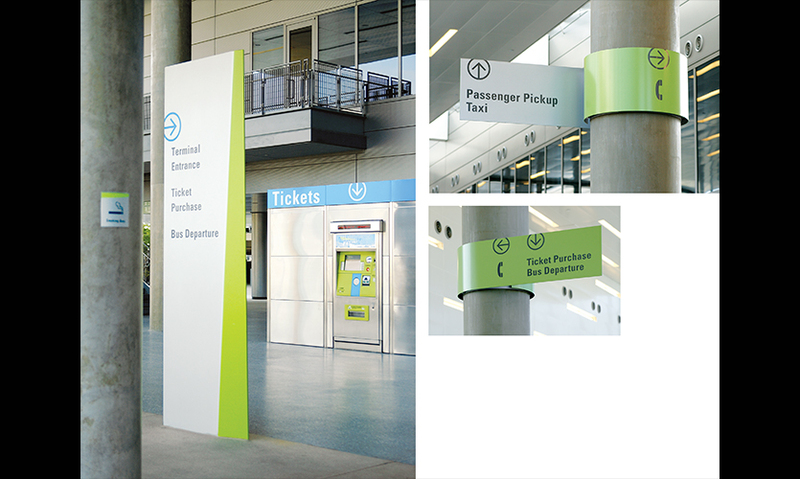 Designed to look and feel like an extension of a modern airport, the identity and signage program reflect the long, thin architectural elements of the airport through dramatic lines, minimal details, and textured metallic finishes. 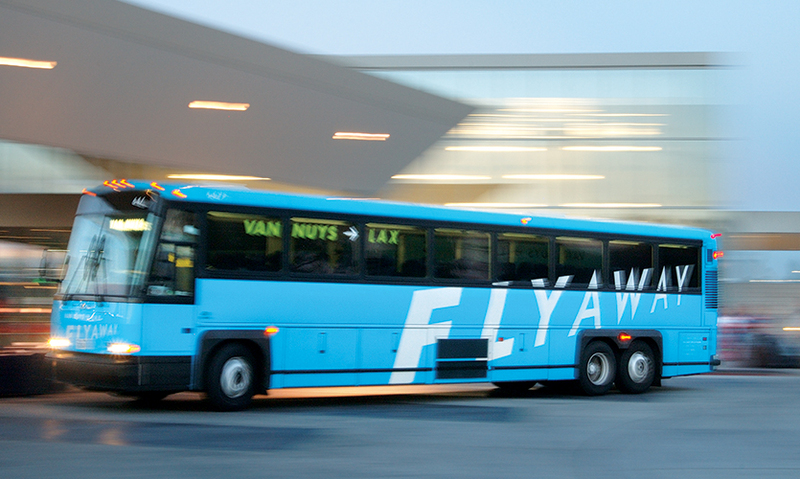 Bright blue transit buses—the heart of the system—are attractive and visible at busy LAX, create a clear connection to the World Airports system, and help identify the Flyaway terminal. 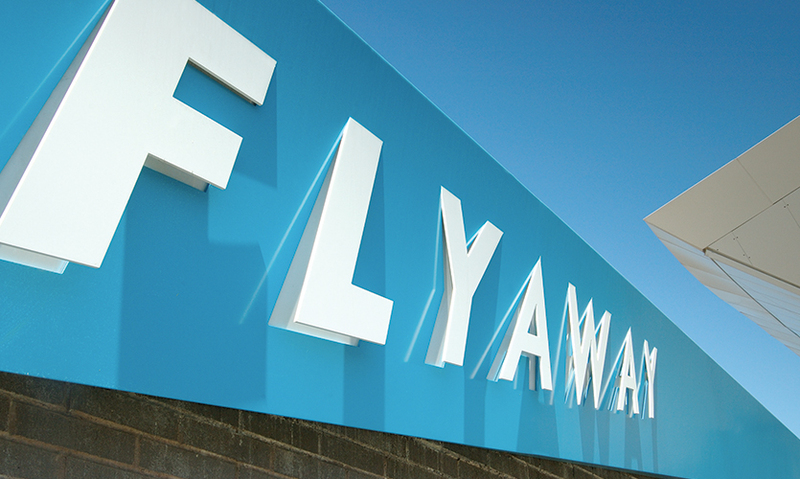 The unique blue distinguishes them from other high-occupancy vehicles on the roadways and serves as a moving advertisement for the Flyaway's services. 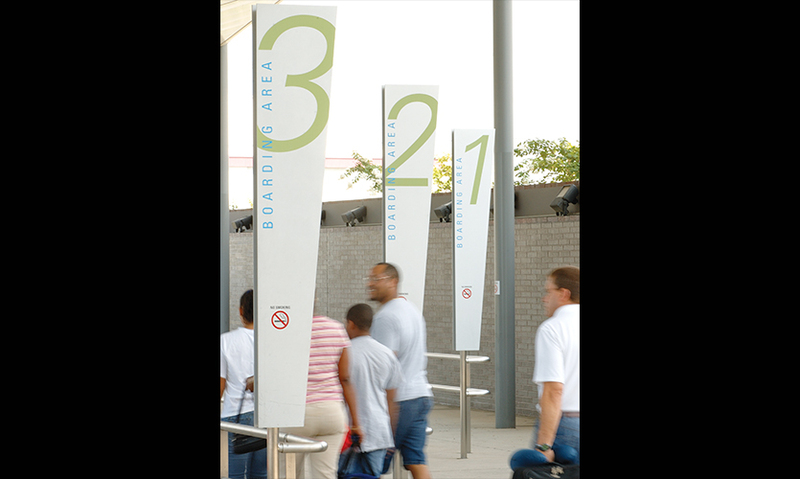 "The environmental graphics are so effective that they transform what could so easily have been a municipal experience into an energetic and refreshing solution to park-and-ride. 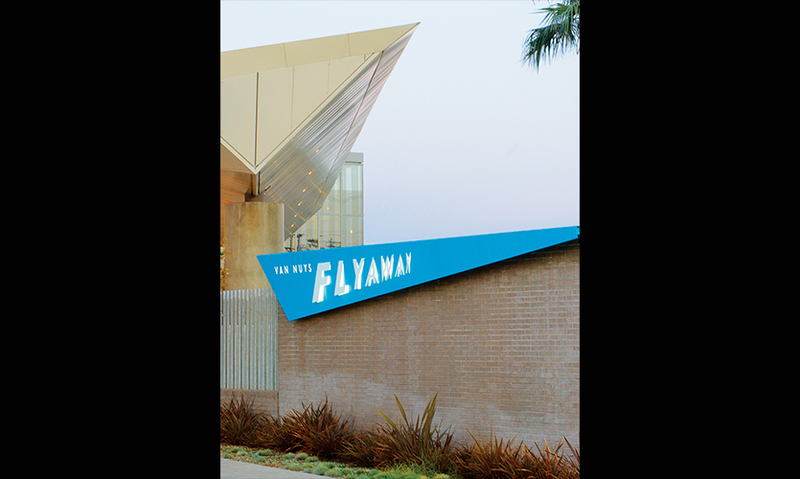 The branding extends dramatically across all elements and goes even further, claiming the pillars with wraparound fixings, playing with angles, and even allowing lettering to jut provocatively out of fascias. 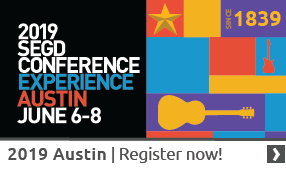 It is strong, bold, and uses color cleverly. 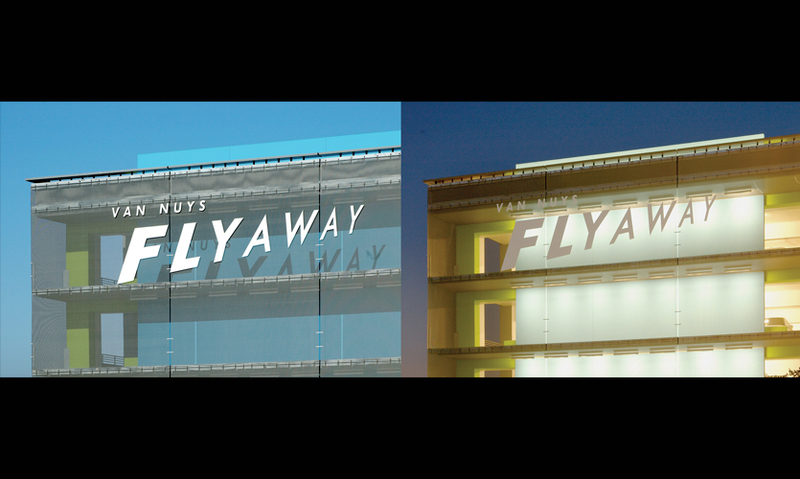 Even just looking through the images, you felt that the solution really was keeping people on the move. 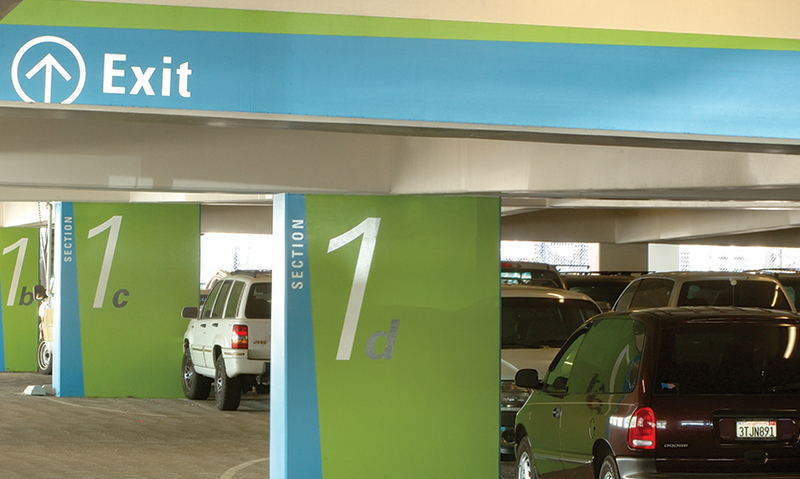 A total solution, it's an example of seamless design that really works."